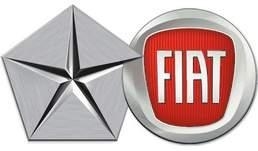 SOUTHFIELD, Michigan -- Fiat S.p.A. has options to increase its stake in Chrysler to more than 70 percent as the U.S. government seeks to exit its investments in the auto industry. Fiat may buy the U.S. Treasury's remaining stake in the 12 months after it repays debts to the government, Chrysler said on Tuesday in a filing with the U.S. Securities and Exchange Commission. Chrysler said in April it would issue new debt to repay the government loans, allowing Fiat to exercise an option to increase its stake to 46 percent from 30 percent. Selling the Treasury's stake to Fiat would allow the government to get out of Chrysler more easily than if it waited for an initial public offering, said Dennis Virag, president of Automotive Consulting Group in Ann Arbor, Michigan. "It's a two-way street: It lets the government get out of Chrysler quicker and it lets Chrysler get out from under the government quicker," Virag said in a telephone interview. The Treasury holds an 8.6 percent stake in Chrysler, the company said last month. That amount would be reduced when Chrysler meets the final of three performance milestones that each give Turin, Italy-based Fiat an additional 5 percent stake. The final goal, to build a vehicle that gets 40 mpg in the U.S., should be met this year, Sergio Marchionne, chief executive officer of Chrysler and Fiat, has said. Marchionne has said Chrysler may sell shares to the public later this year or next year if the conditions are right. "Fiat has the liquidity to buy more Chrysler if they should want to," Erich Hauser, a Credit Suisse Group AG analyst, said in an e-mail about the options to buy more than 51 percent. "The issue is whether it would be better to spend that money on its own autos business or on Chrysler's autos business." Increasing Fiat's Chrysler stake would boost the Italian automaker's value by giving it more profit from a Chrysler rebound, Virag said. Fiat also holds an option to acquire 40 percent of the original stake held by United Auto Workers union retiree health- care trust, Chrysler said. The option is exercisable from July 1, 2012, to Dec. 31, 2016, and in amounts of as much as 8 percent in any six-month period, according to the filing. General Motors Co., 33 percent owned by the Treasury, should consider using its excess cash for a stock repurchase from the U.S. government because of the low valuation of the shares, Himanshu Patel, an analyst with JPMorgan Chase & Co., wrote in a research note May 6. After selling Detroit-based GM's shares for $33 in an initial public offering in November, the U.S. would need to sell its remaining equity for about $53 a share to break even on its investment. GM fell 27 cents to $31.64 at 12:15 p.m. in New York Stock Exchange composite trading. The shares have dropped 4.1 percent since the IPO.